David has agreed to make some of the most critical and useful sheets for good logging practice freely available. He has also made available a number of logging proformae to assist those who do not have such sheets available in their organisation. Whilst sure that most practitioners have access to sample and core logging sheets, many will not be familiar with the requirements of logging in trial pits, tunnels or carrying out scanline logging. These guidance and proforma sheets can be downloaded from the list below. Guidance abstracted from BS5930:2015 giving all the terms needed for a soil description in the right word order and with their definitions. Any practitioner logging in the field should be using this table or similar. The direction of the table in the 2015 has been switched from following the columns in order to following the rows in order, but otherwise the content is similar to previous versions of this table. 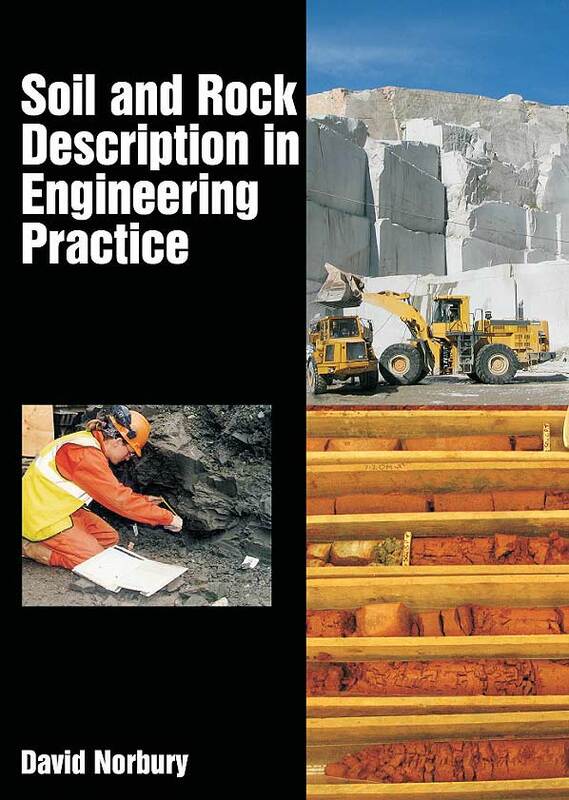 Guidance that follows the requirements of BS5930:2015 in preparing a description of rock. Any practitioner logging in the field should be using this table or similar. The direction of the 2015 version remains in column order as in previous versions of this table. A simple guide to the description of colours, designed to mitigate the impact of different practitioners views of colour, and the effect of varying lighting in and around the logging areas. This sheet is a guide, is not standardised and does not have to be used. It is very much simpler and quicker to use than other standards such as the Munsell chart. When printing this sheet out, set the printer to at least 600 dpi and use photo paper to get the most reliable output.